Our main cheese is “fresh cheese” (a lot of people call it chevre, made with pasteurized milk) its sort of a cream cheese consistency but with an amazing goat cheese flavour.We package it in 6 oz. tubs, and have three varieties – Plain (nuff said) and “Marley” (fresh herbs mon!) and “Full Hot” (hot peppas an Black Seal). Our personal passion is “Hay Jude” (both the cheese and the woman!) 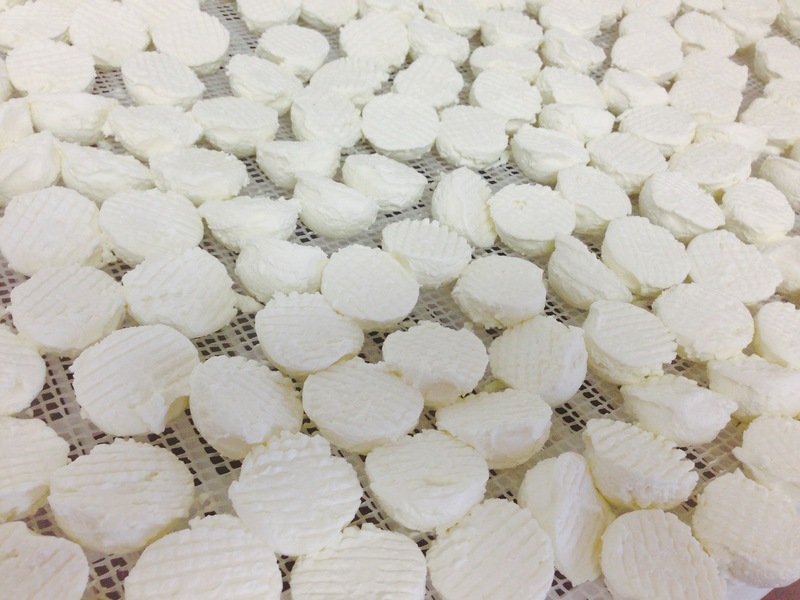 – this is a surface ripened little gem – basically we take the same curd as the Fresh Cheese and drain it in molds – they drain and air dry for a day and are then salted and innoculated with P. Candidum, placed in a ripening fridge – more tipping, mixed in with some pleading, prodding, begging, cajouling, and threatening and in a week or so they develop into little white puff balls – and then another week and the mold starts to move into the body of the cheese – that’s the peak of ripening and the taste is heaven. This cheese is back by popular demand – we hand roll some fresh cheese into “buttons” – let them air dry a couple of days – then roll them in our own organic herbs and bottle them in olive oil and herb sprigs and pepper. What can you say? Its just a really nice cheese that basically lasts forever. 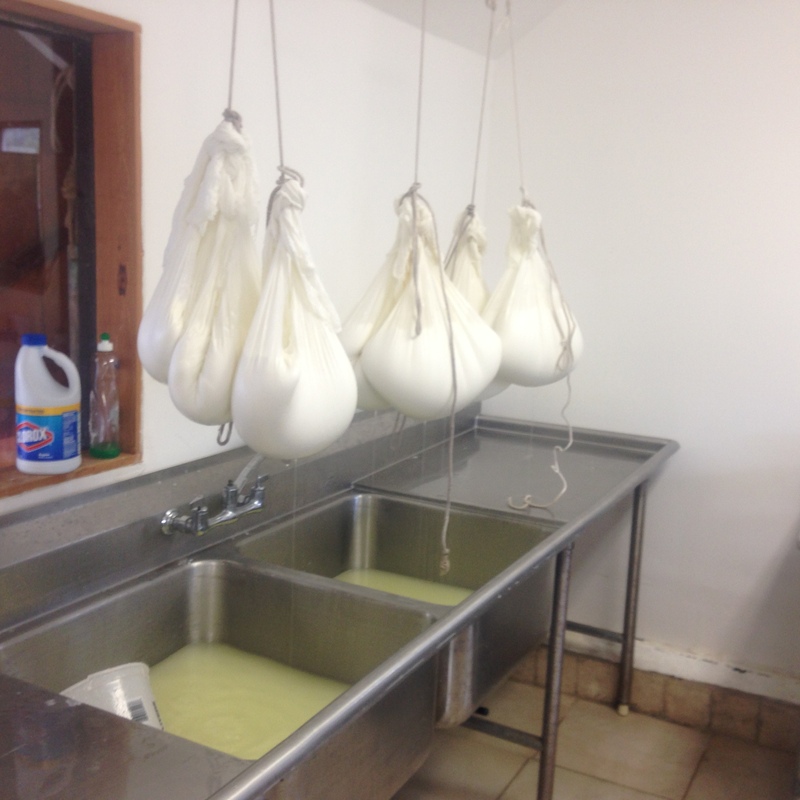 There’s a bunch of photos on our blog of the various stages of cheese making etc. if you are more curious.